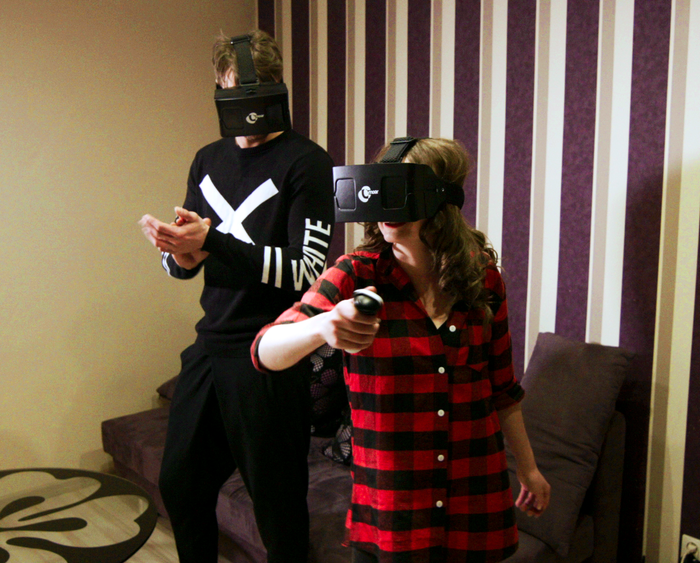 Cmoar Ltd., a Poland based company has come up with a new virtual reality headset which has recently received approval from Kickstarter and has already grasped $58,221 out of pledged $100,000 goal with more 42 days to go before it hits the deadline. 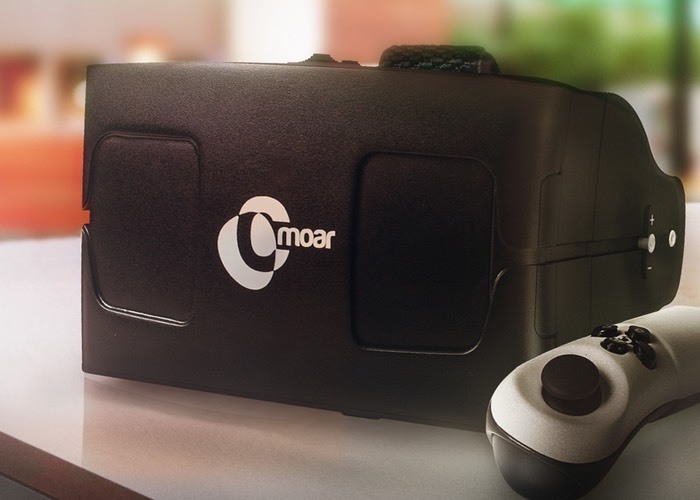 Cmoar’s VR headset is a smartphone run device which also support external sensors from 4″ to 5.7″. This means it will support approximately 150+ smartphones of both Android and Apple smartphones which includes the iPhone 6 Plus. The headset has the capability to provide both virtual reality and augmented reality to its users. Additional features includes USB and headphone outputs which gives the users the option to plug in their favorite headphones. The USB can be used as a power source, in case, the smartphone battery dies. The facial part of the Cmoar has got integrated buttons which include an analogue and a menu button. Along with the buttons, are the camera outputs, volume rocker and sharpness regulator. Apart from the headphone itself, Cmoar will also provide accessories like game pad, powerbank and Cmoar stand which will be sold separately. According to the CEO & Founder of Cmoar Ltd., Damian Boczek, their major goal is to create the professional headset that apart from being functional, would also be characterized by perfect quality and modern design, additionally enriched with integrated electronics and external sensors. The headset that is accessible to everyone. Thus, it can be said that if Cmoar’s VR headset can make it through before 31st March, 2015, we might get hold of an extraordinary virtual reality headset. To make Cmoar come alive, you can visit Kickstarter and back the project.